Johannesburg's public transport system is steadily growing and local government is investing heavily in new transport networks that aim to bridge the spacial divides left on the city by decades of apartheid town planning. 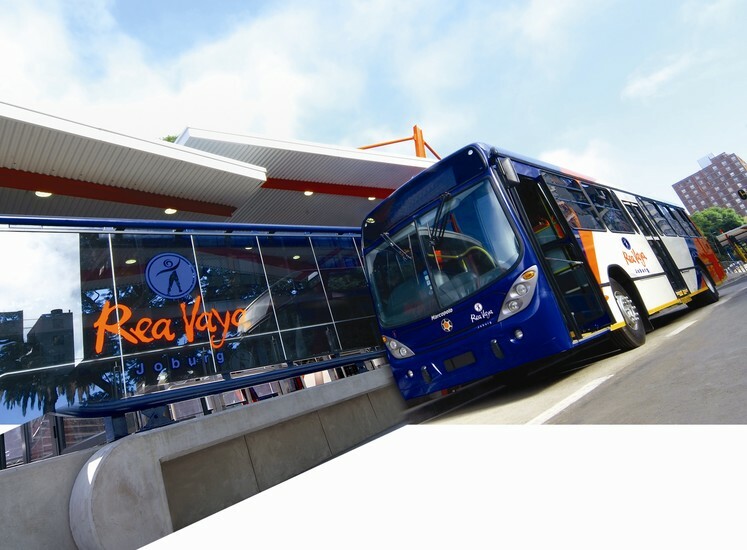 The Rea Vaya bus network is one such new transport network that hopes to connect parts of the city that were previously difficult to navigate with the existing public transport systems. The network is particularly useful for tourists wishing to travel through the city centre without a car. 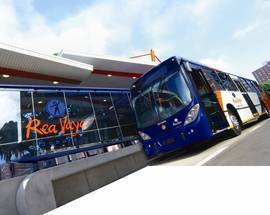 The Rea Vaya Bus Rapid Transport System (BRT) boasts traffic-beating bus lanes and special enclosed bus stops with raised platforms and security staff. Modelled on similar systems in Latin America, the Rea Vaya is part of Joburg’s Corridors of Freedom project and is gradually being expanded, with future routes planned to link the City Centre with Sandton Central and Alexandra township. 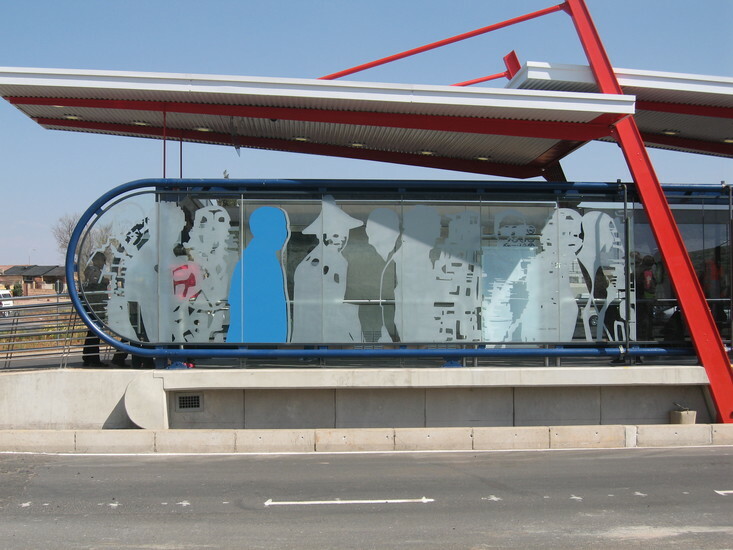 Currently the Rea Vaya runs between the City Centre and surrounds (including the main university campuses) to destinations in Soweto. 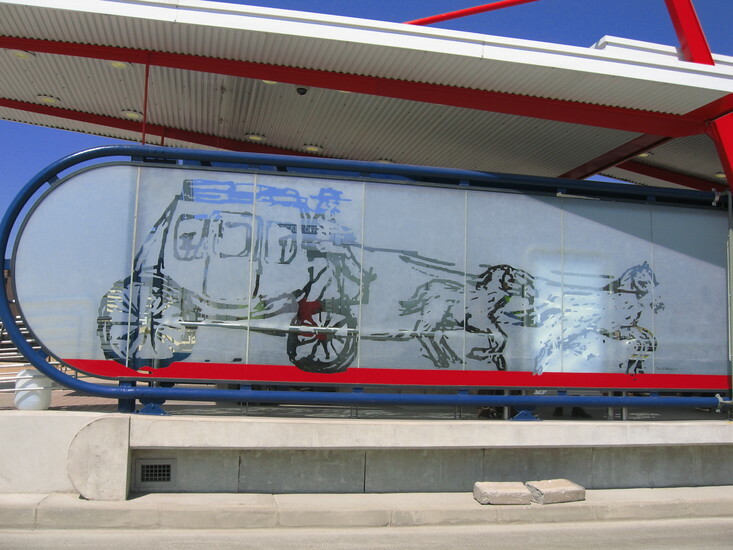 Each station is decorated with a unique artwork relating to the area surrounding the station or referencing key moments in the city's history and culture. In some areas such as Maboneng and Melville you'll find bus stops rather than the larger bus stations. To use the bus you must first register for a smart card at the Park Station and Carlton Centre stops. Note that you will need to show your passport or some other form of picture ID to register. Swipe your smart card at the turnstiles to enter the bus stop and swipe out again when you leave and the fare will automatically be debited. You can add more money to your card at each station. Single journey tickets are also available at selected stations. Buses usually arrive every 10-20 minutes and most buses run between 05:30–18:30 (on some routes buses run until 20:30). 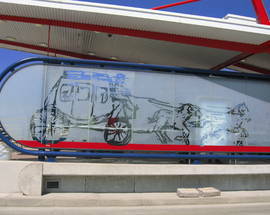 For more information on routes and fares visit www.reavaya.org.za. C-3 The circular City Centre C–3 route stops at most major tourist sights as well as Park Station. 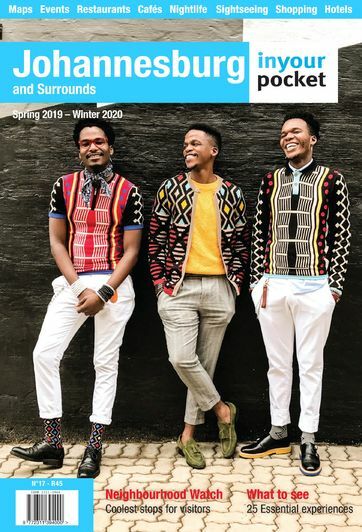 Stops include Constitution Hill, Johannesburg Art Gallery, the Fashion District, the Carlton Centre (visit the 50th floor viewing deck for amazing city views), Library Gardens, Chancellor House, Newtown Junction (Mary Fitzgerald Square) and Wits Art Museum in Braamfontein. C-1 For Maboneng catch the C-1 at Chancellor House, Library Gardens or Carlton Centre and get off at the Jeppe SAPS stop (corner Albertina Sisulu Rd and Betty St). The centre of Maboneng is a two-minute-walk via Betty Street. C-4 Leaves from Park Station. For 44 Stanley get out at Milpark and for Melville at Main Rd and 1st Ave (Melville’s main hub, 7th Street, is a 10-minute-walk via 1st Ave). T-2 and F-4 For Vilakazi Street in Soweto take the T-2 from Park Station and change to the F-4 bus at the Boomtown Station in Soweto.